Danabol - a synthetic anabolic steroid, internal use. Used widely in medicine and sport. 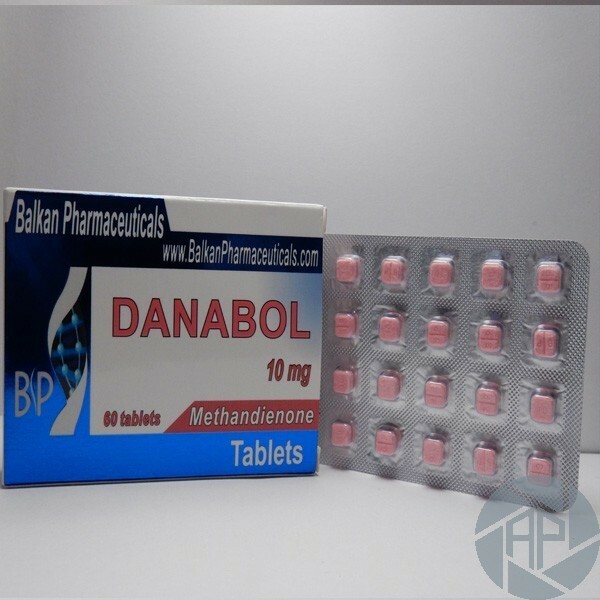 In the market of steroids it is also familiar with d-Bol, Dianabol, Naposim names. The preparation course is intended only for men over the age of 21 years and who do not have health problems. Complete best of all until the course is not only to consult a doctor and undergo a medical examination. This will help to identify potential challenges and deficiencies of the body, which contributes to avoiding many of the problems and difficulties. In parallel to the drug itself, and it is also important to take aromatase inhibitors. Reception is better to start a week after the commencement of the parent drug. Also, throughout the course, you need to monitor their State of health, particularly the condition of the cardio - vascular system and blood pressure. After 3 days after the end of the reception of the primary product, it is necessary to proceed with the post cycle therapy. As in many other cases, it carries out using tamoxifen. Also, to maximize the useful effect and minimum weight loss, it is necessary to combine the course of preparation with the use of appropriate sports nutrition and supplements. It is worth noting that the drug can also be combined with other steroids such as testosterone, trenbolone, nandrolone. Daily dose since the drug has powerful anabolic properties, which is recommended must not exceed the 30 mg. For better absorption of the drug by the athlete body, as well as to facilitate administration, the reception can be divided into several parts of steroids. It would be better if the production of the drug after meals. Regarding the dosage of treatment post-Intercambio, then it is tamoxifen 20 mg. It takes an average of 2-3 weeks. In some cases, to bring a drug to the maximum and to ensure the body, which can be extended to 4 weeks. During the courses combined with the core of drug dosage steroids mentioned above may vary from 10 to 30 mg. Depends on the condition of the host, the appearance of side effects and other factors. Experts, as well as athletes, in general, respond very positively to the drug. Thanks to him, even many young athletes can achieve maximum effect. However, is not recommended to exceed the dose of this steroid, it can result in side effects. If the drug is used in combination with other anabolic steroids, sports nutrition and diet, the effect will be even greater. It is important to note that the drug is toxic to the liver, so it is not recommended to take on an empty stomach. Also among the side effects that have been observed in athletes, dominated by the retention of fluid, hair loss, heartburn. In the case of overdose it can produce Gynecomastia and myocardial hypertrophy. Women taking this drug, the symptoms of masculinization may occur. During long-term rates may be testicular atrophy. In addition, athletes at the start of the course you can see an increase of sexual activity, what significantly reduced at the end of the course.